UNIVERSITY NEWS | The Air Force ROTC Detachment 040, based at Loyola Marymount University, has won the Team of the Quarter award, winning out over 135 detachments across the Nation. Coordinating a C-17 Globemaster incentive flight at March Air Force Base for 93 cadets. 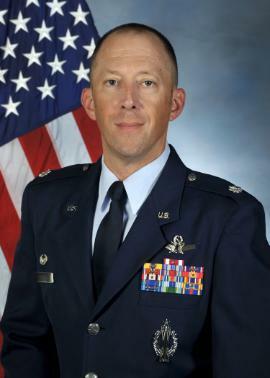 In addition, the detachment leadership team, led by Lt. Col. William “Ash” Holland, partnered with Los Angeles Air Force Base to train the only sabre demonstration team in greater L.A.
“We’re able to do so much with our cadets and program because of the support the university provides us,” said Holland. The detachment team includes: Holland, who has been commander of the detachment for four years; Maj. Melinda Albiston; Capt. Simone Zacharias; Technical Sgt. Analiza McFarland; and Staff Sgt. Nicole Egloff. AFROTC Detachment 040 offers an on-campus officer training program focusing on leadership, academic performance, fitness and personal discipline. In 2017-18, Loyola Marymount’s 75-member detachment served a 70 percent minority enrollment with cadets averaging above a 3.0 GPA while earning over $400,000 in scholarships. Cadets were able to travel to nine Air Force bases over the summer where they were introduced to various Air Force specialties ranging from teamwork, cyber security, field survival and current events analysis. Detachment 040 consistently stands out as one of the top units in the South West Region and its cadre members have been selected as regional and national award winners for classroom and technical excellence.